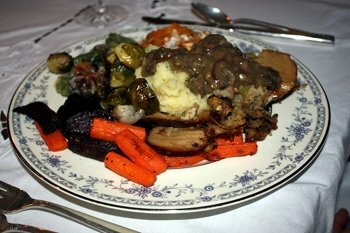 Question of the Month: "How do I substitute agar for gelatin in a Thanksgiving recipe?" Some years I like to start planning our Thanksgiving super early, penciling in pecan pie and then crossing it out for Chloe Coscarelli's pecan bars (have you made them? they're phenomenal). Other years it's a last minute dash to check off something from each category: bread, potatoes, gravy, green beans, sweet potatoes, roast, and pie. This year I'm sending this list early so you can jumpstart it if you want or let this email sit for a few weeks and pop over here last minute. Find all of my Thanksgiving recipes here. "How do I substitute agar for gelatin?" "I have made a gelatin-based salad every Thanksgiving using an old family recipe, and some of my family are now vegans. The ingredients are 2 oz. unflavored powdered gelatin (soaked and melted over hot water), 20 oz. crushed pineapple with its juice, 2 tablespoons lemon juice, 1 chopped orange, and 1 cup ginger ale. Can I make this using agar agar without boiling? Boiling would take the fizz out of the ginger ale. Is there any other alternative to make this acceptable to vegans? I would love to serve this to my family! Suggestions?" Check out what I told Terre to try for substituting in agar for gelatin. I created this pumpkin pie by accident one year when I messed up another recipe. Luckily I remembered what I did wrong (right) so I could make it again. It's a very classic recipe, so it has a perfectly creamy texture and pumpkin-forward flavor and nice crisp crust. 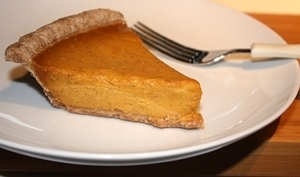 Check out my favorite classic vegan pumpkin pie. The first time I heard about Thrive Market was when I was searching around for my favorite chips (Beanfield's Ranch if you're wondering) to find the cheapest way to procure quite a few bags. I found Thrive, but saw that it was a membership service for which you paid an annual fee, so I decided the chips weren't quite worth the fee. Just a few days later, one of my friends was explaining the service and she said that Thrive was sort of like Whole Foods and Costco combined. That got my attention. I kind of hate shopping at Costco because of the enormous carts and the way people shove themselves around there as though there's a shortage of anything. I'm an online shopper at heart. If I can save some of the day and do silly stuff like shopping at night when I don't need to load anyone in car seats or answer 1.5 million questions as I'm trying to think if we need 168 ounces of peanut butter, it's better for all. The other thing my friend said is that every few days Thrive offers things for free if you spend over a certain amount that day. Some of those gifts are gross bone broth and bison jerky and nonsense like that, but others are amazing deals on things I would already have been buying. That means the membership fee can be paid off pretty quickly. It's like Costco in the sense that the prices are cheap because of it being a members-only shopping experience, and like Whole Foods in that you can buy health-oriented and sometimes fancy things. You might be wondering what kinds of things I buy at Thrive Market. So far I find the best deals to be on non-perishables like pasta, cereal, chips, coconut milk, and other snacks. First of all, those Beanfield’s chips. Have you tried them? They’re made with bean flour and spices and are just scrumptious. My favorite is Ranch but I’m finding those difficult to source. Nachos are the easiest to find and pretty close to Doritos, as are the plain Sea Salt version that I personally don’t find to be worth the time. Pico de Gallo and Barbecue are my next favorites, and my husband loves the spicy Jalapeno flavor. Forager also makes some delicious bean chips that might possibly be better than my former love. I’ll need to try them a few more times to really be sure. Cheezy Greens is my favorite type so far, but the Chipotle BBQ was good too. Earth Balance white cheddar popcorn is available through Thrive for a good price too. They also sell the Cheezits of Earth Balance. Those big bags of Nature’s Path cereals are cheaper than when they’re on sale at Whole Foods, around $5.99 a bag. I also really like Jovial’s Einkhorn pasta. I feel better about serving organic wheat, and einkhorn is an unadulterated ancient grain, so it seems less likely to aggravate our bodies. Thrive sells einkhorn pasta for way less than I’ve seen at the grocery store. 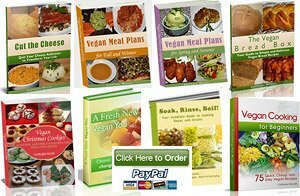 In general there are tons of vegan pantry staples and snacks, and they constantly add new items. If you like stocking up and getting deals, you should take a look and see if they have your favorite brands. Any time you order over $49 of products, the shipping is free. I’ve noticed sometimes they offer free shipping on the same brand as their deal of the day. Also, for the first three orders you get a hefty 20% off your order. I maxed that out by buying exactly the top limit of items to get as much at 20% off as possible. Note: The links in this article are my affiliate links, which means if you order something after clicking through my link I get a commission that will help provide my family with more Beanfields, so I appreciate it! I've been baking my entire life, and I've been veganizing family recipes and making my own for years. In this ebook you'll find all your old favorites, like Chocolate Crinkle Cookies, Thumbprints, Linzers, Peanut Butter with Chocolate Bombs, Chocolate Covered Peanut Butter Balls, Gingerbread, and of course, Vegan Sugar Cookies.